Type a product description into the search box: colour, size, price etc... refine your search using the filters to view all our online stock, which is updated regularly. - Browse our styles using the department tabs or the search box: discover brands that match your personality and personal style. - Select your favourite brand and discover their latest collection. See the top 5 sales on Spartoo or each style and brand. Once you've chosen your item, select the size you need in the drop down menu on the product page. Click on "Add to shopping bag" to add the item to your shopping bag. Once you have finished shopping, click on "Pay Securely Now". We’ll guide you through the four stages of the ordering process. If you are not logged in, you will be asked to log in with your email address and password. If you do not have a Customer Account, you will be asked to create one. Delivery information: Check your order summary and your delivery address. Payment information: Choose your payment method, delivery and billing address. Confirm: Enter your payment information. The order has now been registered. You will see a page showing your order and payment details. We send a confirmation email to you as soon as your order is placed – this should arrive within a few minutes. Has by order been registered? We send a confirmation email to you as soon as your order is placed. You can also sign in to your Customer Account and check your recent orders under "My Orders". Keep an eye on your inbox as we’ll keep you updated about your order via email. Remember to check all your email folders, including Junk, Updates, Promotions etc. As long as your order hasn’t yet been despatched we’ll be happy to cancel/amend it for you where possible. To modify or cancel your order, please click here. If your order status is 'Awaiting Preparation', you can change your delivery address, the size of your product or cancel your order. If your order status is 'Preparation in Progress', 'Order in Transit' or 'Order Shipped', no modifications can be made. Delivery times given are in reference to the order date, and presented in working days (Saturdays, Sundays and bank holidays are not taken into account for calculation of delivery time). In case of force majeur, Spartoo can not be held responsible for any delay in delivery. Spartoo offers different delivery services which are automatically selected depending on the products in your order. You will find the available delivery services for your desired product(s) on the product page and on the payment page. For any one order which contains multiple products and two different delivery services, you will receive two separate parcels upon delivery. Items marked \"Partner Product\" will have different delivery services and costs. Please consult the product page to see the delivery policy for the partner product. Delivery time: next working day for orders placed weekdays before 2pm. Delivery time: next working day for orders placed weekdays before 1pm. The estimated delivery time is calculated based on the address given on the secure payment page. *At this time we are unable to deliver any orders to BFPO addresses or PO Box addresses. *At this time we are unable to deliver any orders to the Channel Islands. You can choose to get your order delivered to an address other than your billing address. Just enter this address during the checkout process. If you choose to have your parcel delivered to you at work, always make sure you put the name of the company or organisation in the address field, as well as the contact name to ensure your parcel is successfully delivered. The following information applies to all products except "Partner Products". "Partner products" are subject to their own Delivery and Returns policies (see details on the product descriptions). Once your parcel is despatched, Spartoo will send you an email with a link so that you follow the different steps of your delivery. Click on this link to be taken to the website of the delivery company you have chosen. You can then see exactly where your parcel is at any time. You can use the tracking number to view up-to-date tracking on your order. We ask if you could patiently wait up to 5 days after the promised delivery date to receive your parcel in case of a delivery delay, but we will do our best to get your parcel to you as fast as we can. If you have still not received your order after this time, please contact us stating your order number and we will look into this for you. Please note that we do not deliver to the Channel Islands, BFPO addresses or PO Box addresses. Why do I need an Spartoo customer account? 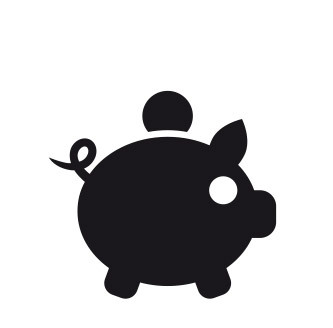 Your Spartoo.co.uk account allows you to track your orders and returns online. To create an account, click on 'My Account’ in the top right hand corner of the page. Alternatively, we’ll offer you the option to create an account as part of the checkout process when you shop with us online. It's worth checking your account every once in a while just to make sure we have the right details for you. Any changes you make to your account will not affect the details of any orders you’ve already placed. To close your account please contact us and we will be happy to help. Just go to 'My Account’ in the top right hand corner of the page. Click on the 'Forgot your password' link and enter the email address you registered with. You will receive an email shortly with your new password. You’ll be up and running again in no time! Our call centre is here to answer all of your questions 02033182709 (only costing the price of a local call) from Monday to Friday between 8am and 4pm. You can also contact us by clicking on Service Client to leave us a message. Recommend a friend to Spartoo and you’ll both receive £10 off. Your friend must be new to Spartoo and place a first order of £50 or more to qualify for the offer using the same email address you use to recommend them. Once your friend has shopped, your sponsor account will be credited with £10 (credited 30 days after the date of order for orders of £50 or more that are not subject to any returns). All introducers must be existing account holders. You can sponsor up to 100 people and earn up to £1000. - Your earnings are credited 30 days after the date of order for orders of £50 or more that are not subject to any returns. - Your earnings are issued in the form of a gift voucher, valid for 1 year. - Cumulate your earnings and request a gift voucher from £20 onwards. Spartoo has a loyalty points programme. Customers earn points for their purchases, which can later be exchanged for gift vouchers which give money off future orders. Your loyalty points are valid for 12 months. For every pound you spend at Spartoo, you will be awarded 2 points. Each point is worth 1p. The number of points earned for each product is shown on the product page. Points will be added to your total 30 days after your order was placed, so we can leave plenty of time for you to return items if you want to. Once 30 days have passed, points for the items you’ve kept will be added to your balance automatically. You can see your balance by clicking on 'My Account’ in the top right hand corner of the page. Your loyalty points are valid 12 months. You will earn points on shoes, clothing, bags and accessories. The only exclusion to earning points are delivery charges. Once your balance reaches 500 points, you'll be able to exchange those points for a gift voucher – £5 for every 500 points - which you can use against your next order. You can also save up your points. If you've added something to your shopping bag, it will be reserved for 2 hours. After 2 hours it will be removed so other customers can buy it. You're able to 'save' items for later in your 'My Favourites' list. So if you're browsing the website and aren't ready to buy anything straight away, you can 'save' the item in your Favourites list ready for when you want to buy - and you can keep tabs on your must have items in the meantime. Once an item is added to your Favourites list, you'll be able to see if an item has reduced in price since adding it to your Favourites list, or if the item is out of stock in your chosen size. The item will be removed from your Favourites list if it is completely out of stock. The 'Add to favourites' button is on each product page underneath the 'Add to shopping bag' button. To view your saved items list, just click 'My Favourites at the top right hand side on any page of the website. Please note, saving an item for later does not reserve the item for you - items placed in your saved items list can still be bought by other customers. Items can only be reserved for you for 2 hours, once they're added to your shopping bag. Spartoo also offers a subscription service called Spartoo Premium. The Premium Service is a subscribed service for a period of 12 months which costs £14.99 at registration. If the customer wishes to continue to enjoy the benefits of this subscription after 12 months, they may renew the subscription by ordering the service on the website for an additional 12 months for a total of £14.99. The Premium Service advantages do not apply to partner products, displayed with the icon "Partner Product". - Free express delivery on orders registered before 2 p.m.
-Payment in 3 instalments at no extra charge with a minimum purchase of £55. We try to give you as much useful info as we can about all our products, including a detailed description and photos. We also have a 3D image available for some products. There is a description box on each product page just below the product photo where you can find details on the material. There is also a link to our size guide on each product page. If you can't find the information you need about a product, please don't hesitate to contact us and we'll try our best to help you. Our website will always show the most recent information about available items, sizes and colours. You can ask to be notified when it arrives by E-mail by clicking on the "Size alert" button, which can be found on the product page, underneath the size drop-down menu. Simply enter in your email address and the size you are looking for, and you will be immediately notified by email if/when your size becomes available. Why not look for an alternative in our New Arrivals section? Spartoo is a leading European e-commerce company active in the in-season fashion retailing business. It has over 900 brands and more than 70,000 styles of shoes, clothes and bags available. There is more choice than you could ever imagine, from trainers to ballerinas, loafers, derbies, flip flops, sandals, boots and even slippers! Safer than it's ever been. - Authentication: this assures your browser that your data is being sent to the correct computer server, and that the server is secure. - Encryption: this encodes the data, so that it cannot be read by anyone other than the secure server. - Data Integrity: this checks the data being transferred to ensure it has not been altered. In the unlikely event of unauthorised use of your card, you must report the transaction immediately to your card provider in order to qualify for security protection and please contact us too. How do I use my Gift Voucher to pay for an order? If you have a gift voucher, enter its code in the special box in the upper-left hand corner on the payment page. The promotion will be applied directly to the amount of your shopping bag if the conditions of the voucher apply to the item(s) purchased. If you gift voucher is directly linked to your customer account, you can select your voucher in the drop down menu in the "Promotional Code" section. If the amount of your gift voucher is higher than the amount of your order, the balance is transferred to your gift voucher account which is located directly in your customer account. It will automatically be offered during a future order on the payment page. If the amount of your gift voucher is less than the amount of your purchase, you will need to pay the extra amount by another means of payment. Once you've reached the payment stage, enter your promotional code into the 'Promotional Code' box, enter the code exactly as it was given to you, without any spaces and click 'OK'. If the code is valid, your discount will be applied! You'll be able to check this underneath the items as the discount value will have been removed and the price amended. You can only use one discount/promotional code per order. As our discount/promotional codes vary, so do the terms and conditions of each, so make sure you check when you receive any codes. 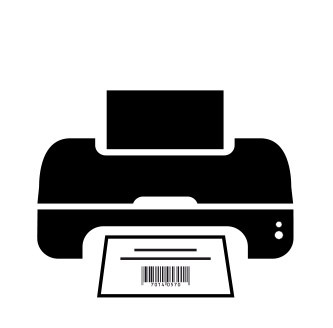 Codes may only be valid for certain items and the majority of codes will have an expiry date. You should be able to find the terms and conditions in the same place you found the code whether it be through an email or on our website. You can also check out our general terms and conditions regarding promotional codes by looking at the "Conditions of our current promotional offers". Some codes will only work for specific people. If you’ve received the code in an email from Spartoo then the code may also be locked to that email address. Make sure you’re trying to use the code using your Spartoo account that has the same email address as we sent the code to. All prices include VAT. The VAT charged will be French VAT. The following information applies to all products except "partner products". "Partner products" are subject to their own Delivery and Returns policies (see details on the product page). -All items must be unworn and in new condition. -All items must be returned in their original packaging, also in good condition (shoebox not ripped for example). The shoes and shoebox should be parcelled up in a separate box. -All items must be returned within 30 days of delivery. -It is very important to follow the return procedure. The first step is to complete a return request in your customer account. -Your return will be processed within 5 working days. The following information is only valid for non "partner products"
UK : Hermes, UPS or Hermes Express depending on product and expedition site. Returns are free with collect +. All other types of returns will be at your own costs. Need to return an item? It's quick, simple and free! Drop your parcel off at a Collect+ point. Based on your choice, we will process your exchange or refund! *Return procedure valid for the United Kingdom only. For other countries, please refer to your Terms & Conditions. All items bought on the site Spartoo.co.uk can be exchanged or refunded. The period within which the customer is able to request an exchange or a refund is within 30 days of receiving the item. 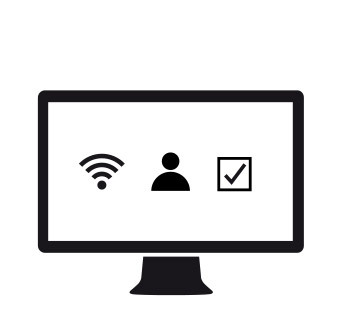 Connect yourself to your compte Spartoo.co.uk with your email address and your password then go to the section My Returns in order to fill in returns form. - If the return is pre-paid by Spartoo.co.uk: you will receive an email with a link that allows you to print the pre-paid Collect+ label. For free returns drop your parcel at any Collect+ store of your choice or where a return is at your cost use the Post Office or a suitable alternative courier. Be sure to keep your proof of posting. What is a partner product? A partner product is an item sold by a professional merchant via Spartoo. All merchants are qualified and are carefully selected by Spartoo for their product quality and service. Your payment will be safe and secure when you make your purchase. Products are marked with an icon 'Partner Product' on the product page. View information about the merchant, its delivery policy and returns policy on the product page. What are the payment, delivery and return policies for partner products? You can pay by debit/credit card or PayPal. All payments are secure and fully managed by Spartoo. Should you purchase a Partner Product your payment details are never transmitted to the merchant. 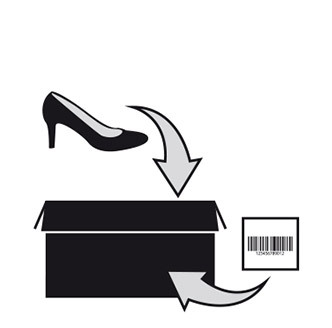 The delivery and returns policies are shown on the product page. By clicking on the links on this page, you can view more information. We strive to work with partners that offer the same free delivery and free returns service as Spartoo. However, partners are free to set their own delivery charges and choose wether or not to offer a free return. How does the delivery of a partner product work? The partner is required to ship the order that you placed on Spartoo within 48 hours. Once your order has been despatched, you will receive an email with your tracking information. How do I return a partner product? You can return products purchased from a partner merchant within the time frame given for your return. This period is specified in the returns policy on the product page. Complete a return request by logging in to your Customer Account on Spartoo under "My Returns". The return is at your expense. 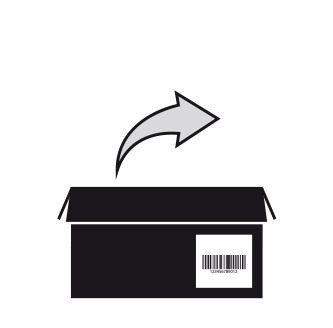 You will receive an email with the returns address, and a return code to put inside your parcel. Once your product has been received, the merchant will notify Spartoo. Spartoo will then refund the price of the product(s) returned.